Moisture in the soil: Flooding, excess moisture, and melting snow can saturate the soil which in turn causes the hydrostatic pressure in the soil to increase. If this increase is significant enough, pressure will be exerted on the foundation, causing it to move. When the temperature plummets in the winter months, the water in the soil freezes and expands. This expansion can place pressure on the foundation and cause it to shift. Deterioration as a result of age: Like all things, concrete is not meant to last forever, and as time progresses it will begin to deteriorate, eventually rendering the foundation unstable. As the foundation becomes increasingly unstable, it is susceptible to shifting and settlement. Vegetation: Although many homeowners plant large trees or shrubs close to their homes for aesthetic value, this practice can yield unwanted consequences for the foundation of the homes. If the roots of the plants grow around or under the foundation, they can exert undue pressure and cause it to move in their search for water. This is especially prevalent in the dry months. Poor compaction: When buildings are constructed poorly or the foundations are laid quickly or haphazardly, the soil beneath the foundation may be poorly compacted. This translates to a greater likelihood of shifting and moving over time and with various weather conditions. With time, the foundation often moves in conjunction with the soil underneath. 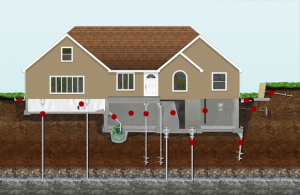 Regardless of the source of your foundation’s shifting, Rapid Foundation Repair offers a solution to restore your foundation to a superior condition. 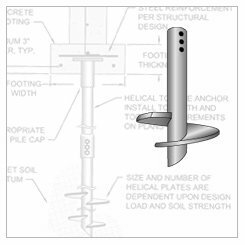 The most effective solution is to install steel foundation piers or helical anchors. These anchors and piers are used to stabilize the foundation and align it with the original position as closely as possible. They are driven deep underground until they are nestled in the stable soils located beneath the layers of soil that are constantly shifting. Then, the weight of the structure is transferred onto the anchors so that the structure can be stabilized and supported. Not only do they restore the foundation to its intended location, but they also prevent additional foundation shifting from occurring. Our anchor or pier installation services will ensure that your foundation is stable and will last for many years to come. 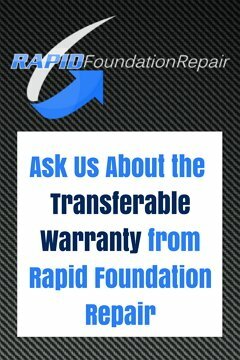 If you are experiencing problems with your foundation, contact Rapid Foundation Repair today. We specialize in effective solutions for shifting foundations in South Dakota, Wyoming, and Nebraska.